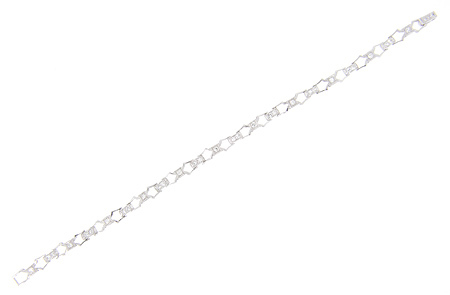 This brilliant antique platinum bracelet is set with approximately 1.10 carats total weight of diamonds. 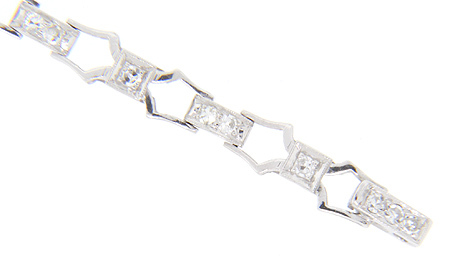 An open link art deco design creates a lovely sense of space between the links studded with diamonds. The bracelet measures in length. Circa: 1920.